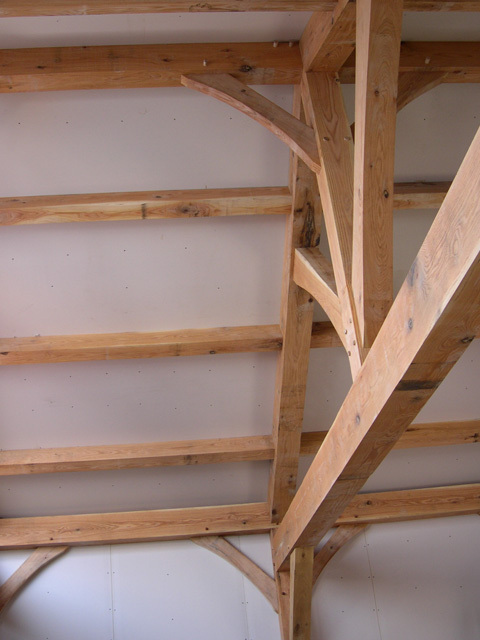 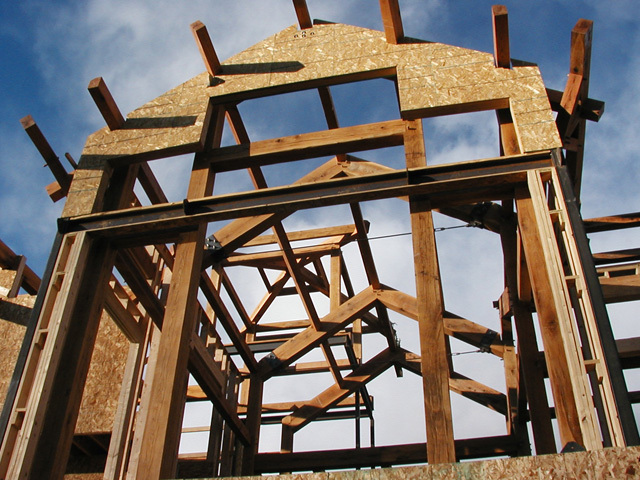 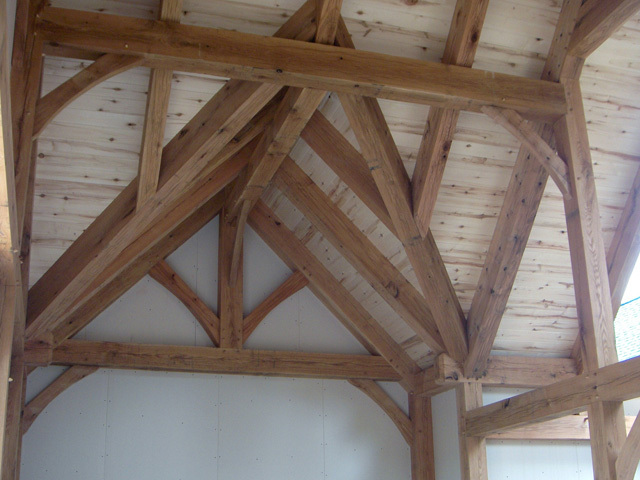 One of the most common methods for enclosing a timber frame is to use Structural Insulated Panels (SIPs). 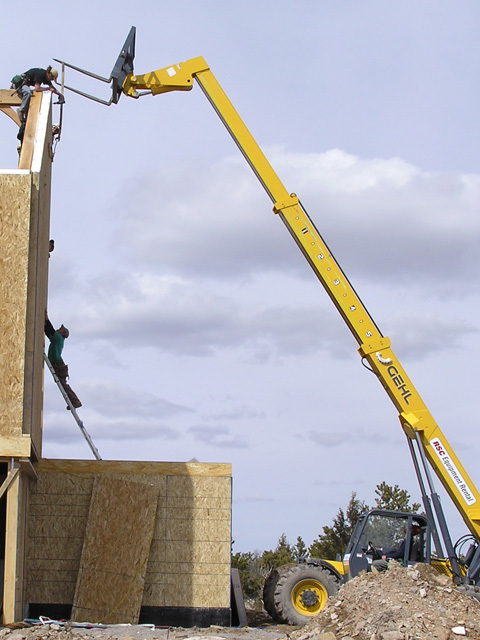 The use of SIPs creates an extremely energy-efficient home. 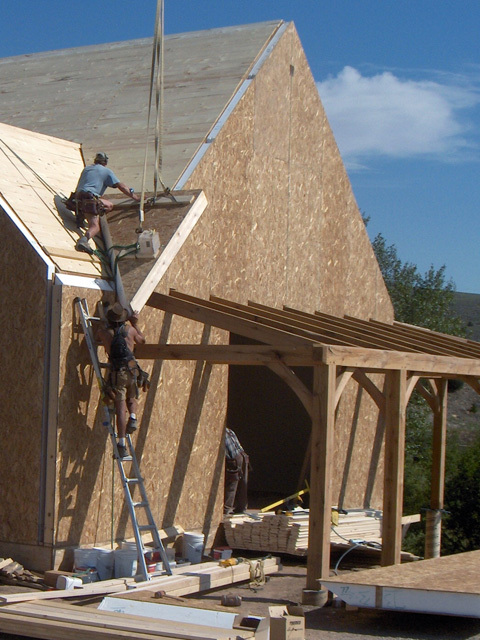 It is also a very fast method of enclosing a home which comes in handy in areas with small windows for their building season. 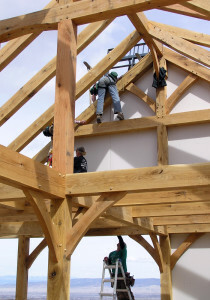 As a courtesy to our clients, Wind River Timberframes will install the SIPs on the timber frames they raise. 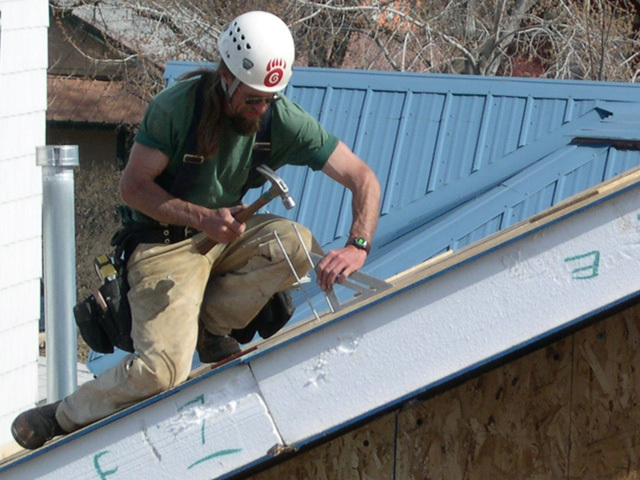 Again, a major benefit is using the same crew to complete the enclosure. The crew has established efficient installation practices and takes advantage of their familiarity with a project when enclosing a timber frame home.